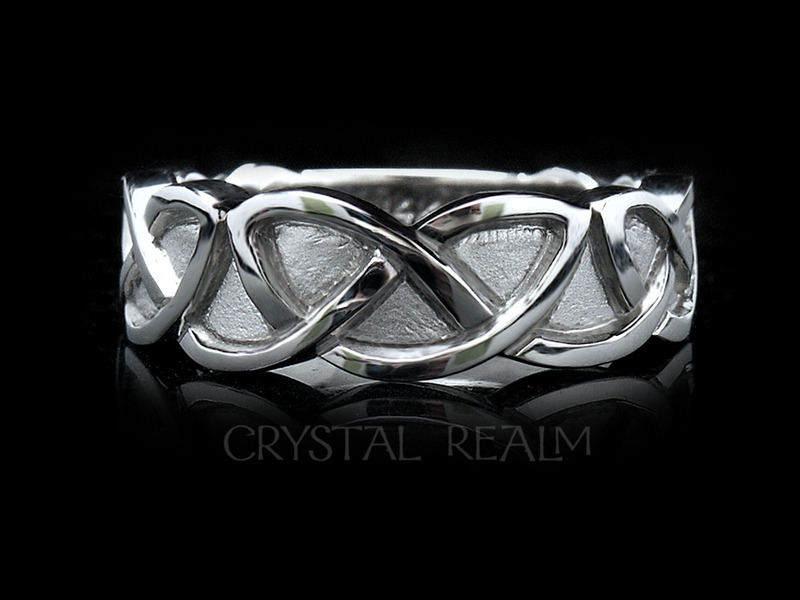 Express your love with eternal knots that speak of your infinite love for each other and of the linking and bonding that grows through years of mutual love and respect. 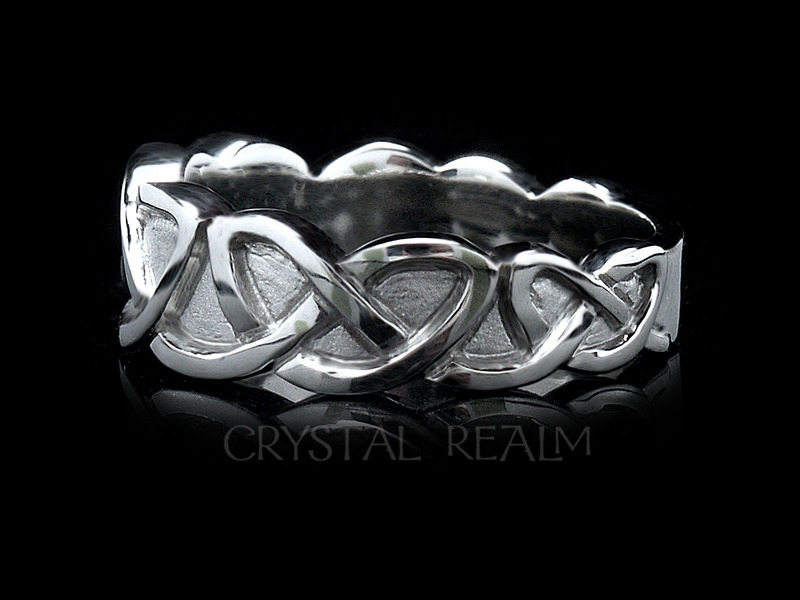 The popular Recessed Eternal Knot Band is offered here with trim for a wider version often chosen by the partner with the larger finger size, when the significant other wishes to wear the same band without trim. 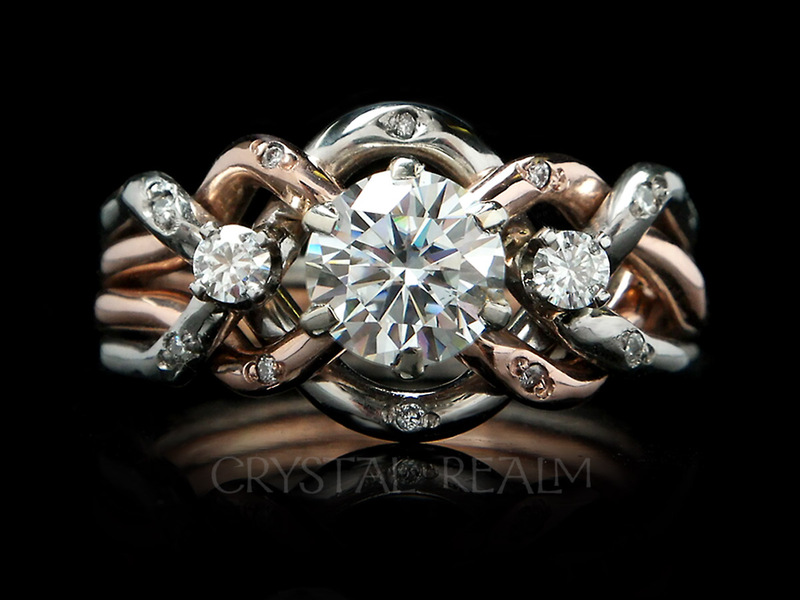 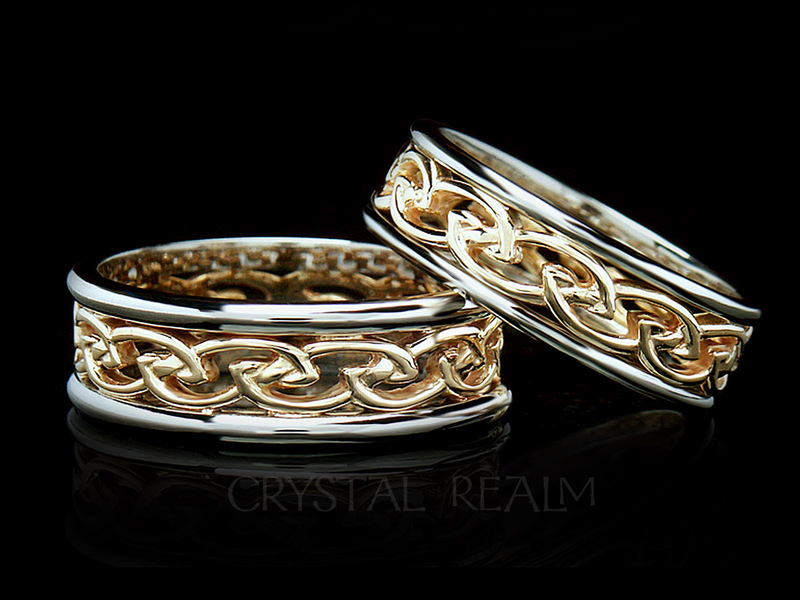 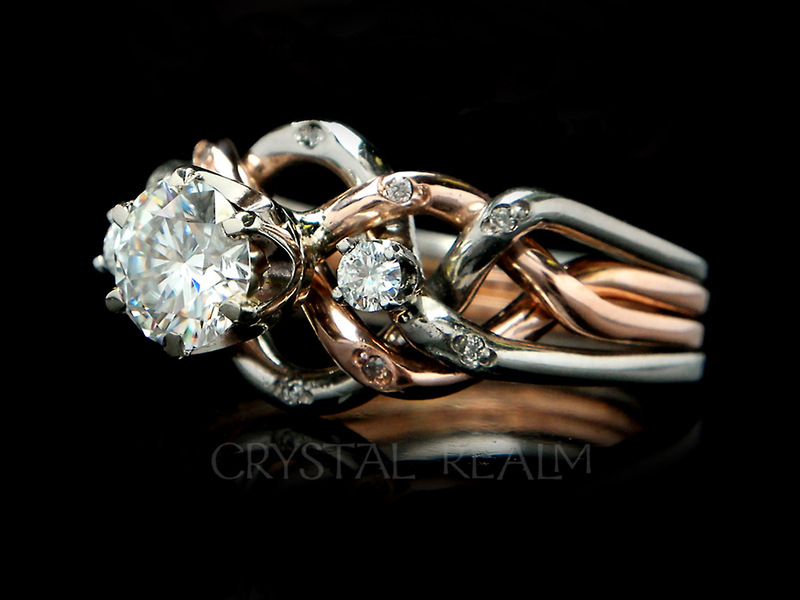 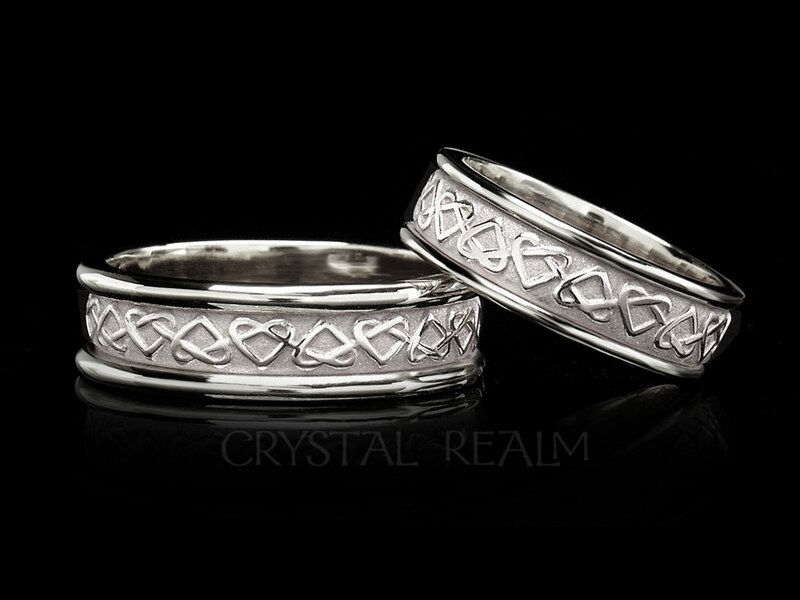 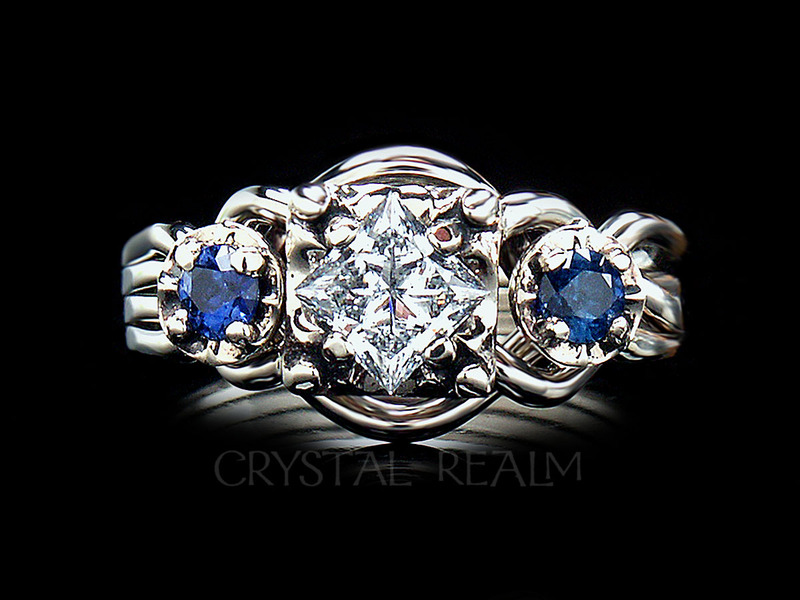 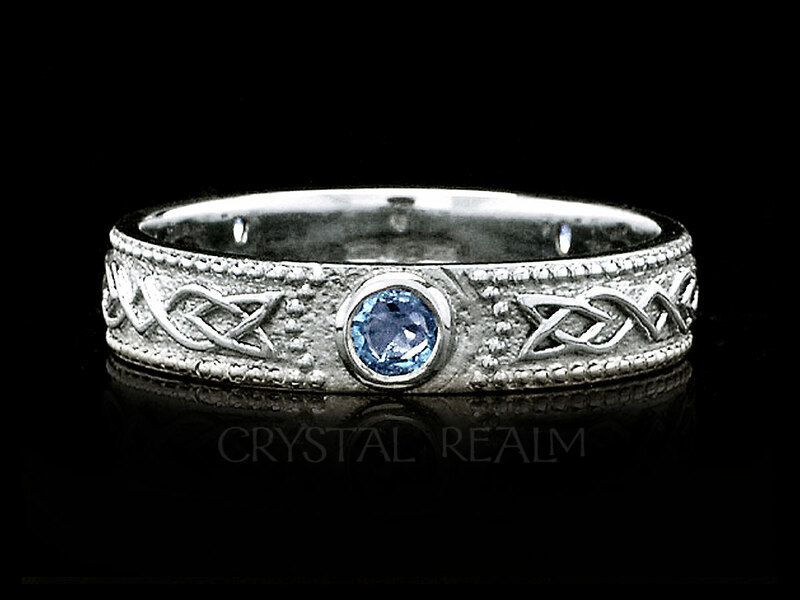 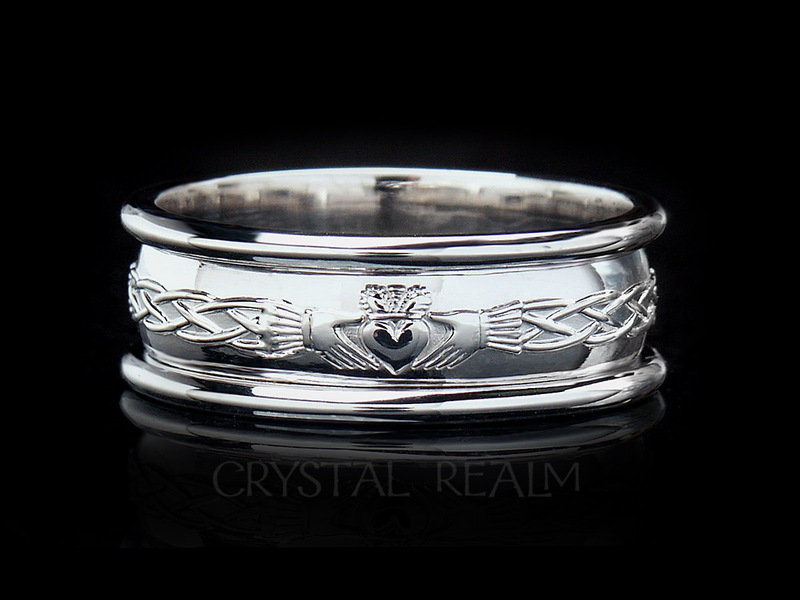 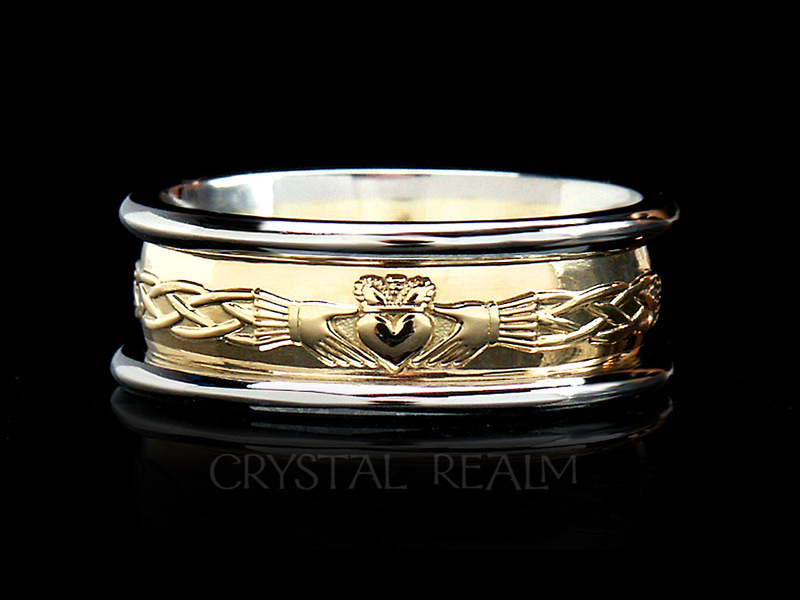 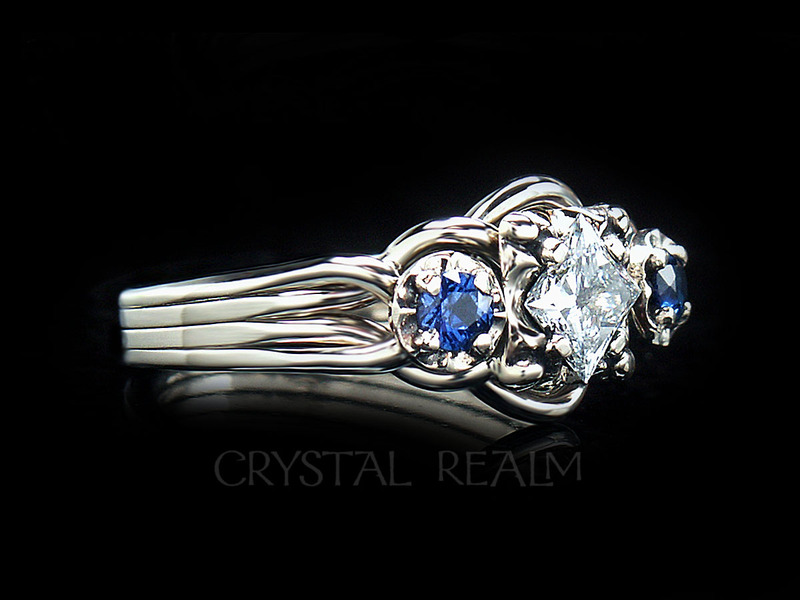 On the other hand, this ring style is perfect in a pair, if you prefer. 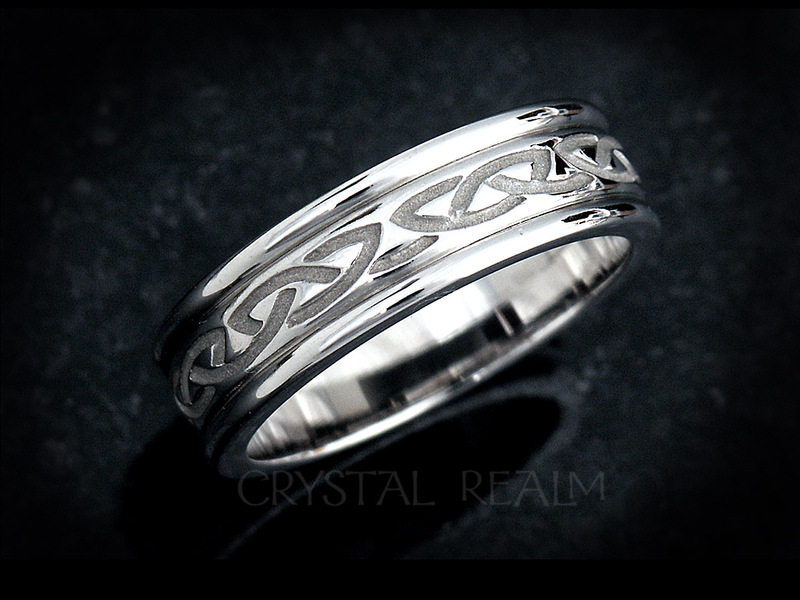 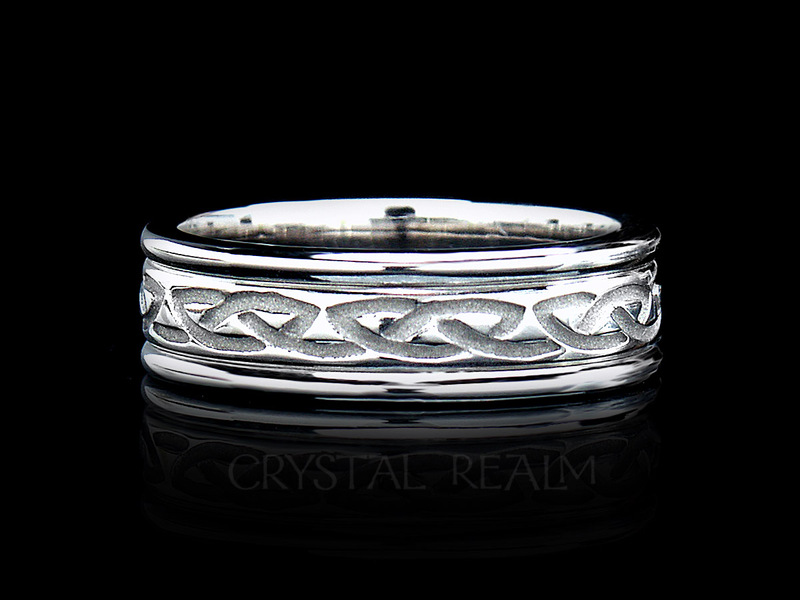 Celtic sizes and widths: Sizes 4 – 8.5 are 5.7mm wide. 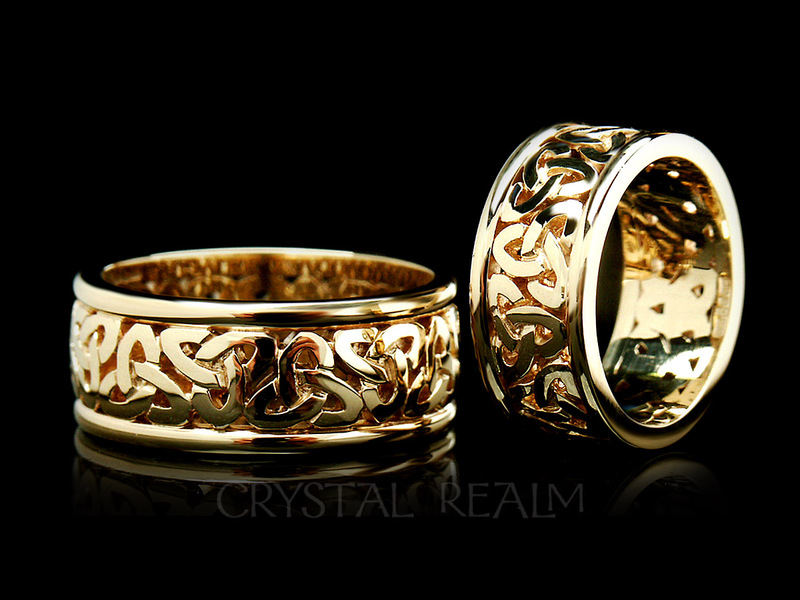 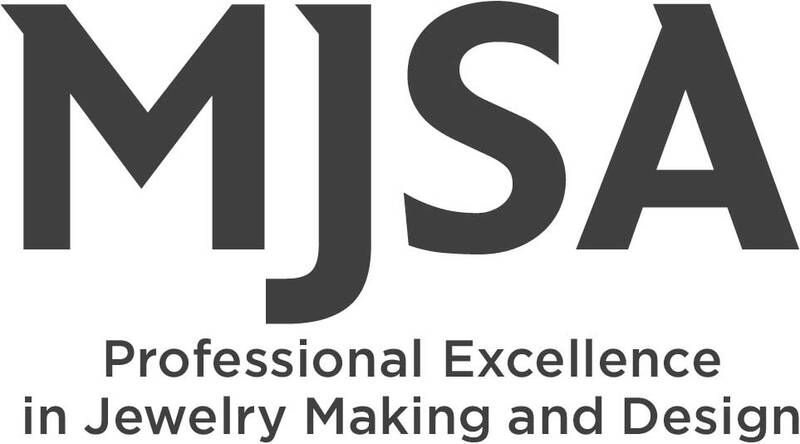 Sizes 9-12.5 have a 7.7mm width.